The book of Joshua transitions the reader from Israel’s wilderness wandering to their entrance into Canaan, the Promised Land. Upon their crossing the Jordan, and before taking the city of Jericho, they encamped at Gilgal. At Gilgal all the men were circumcised who during the 40 years of wilderness wandering had neglected (i.e., their parents had neglected) this special covenant token. So Joshua made flint knives and circumcised the Israelite men at Gibeath-haaraloth. This is the reason Joshua circumcised them: All the people who came out of Egypt who were males– all the men of war– had died in the wilderness along the way after they had come out of Egypt. Though all the people who came out were circumcised, none of the people born in the wilderness along the way were circumcised after they had come out of Egypt. For the Israelites wandered in the wilderness 40 years until all the nation’s men of war who came out of Egypt had died off because they did not obey the LORD. So the LORD vowed never to let them see the land He had sworn to their fathers to give us, a land flowing with milk and honey. Joshua raised up their sons in their place; it was these he circumcised. They were still uncircumcised, since they had not been circumcised along the way. After the entire nation had been circumcised, they stayed where they were in the camp until they recovered. 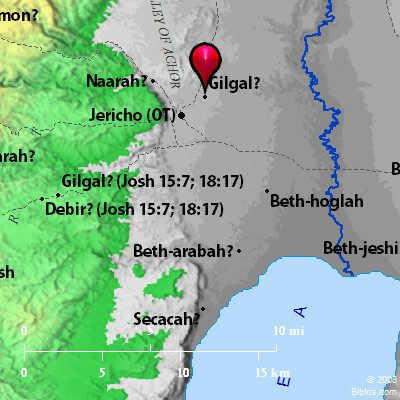 The LORD then said to Joshua, “Today I have rolled away the disgrace of Egypt from you.” Therefore, that place has been called Gilgal to this day (Josh. 5:3-9). 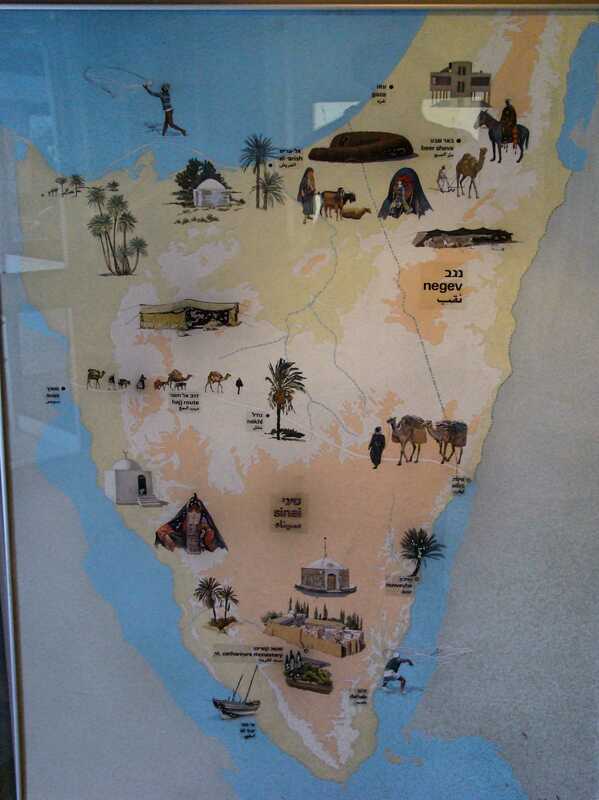 The Peninsula of Sinai was Israel’s home for that period referenced in this text. Area of Wilderness Wandering. 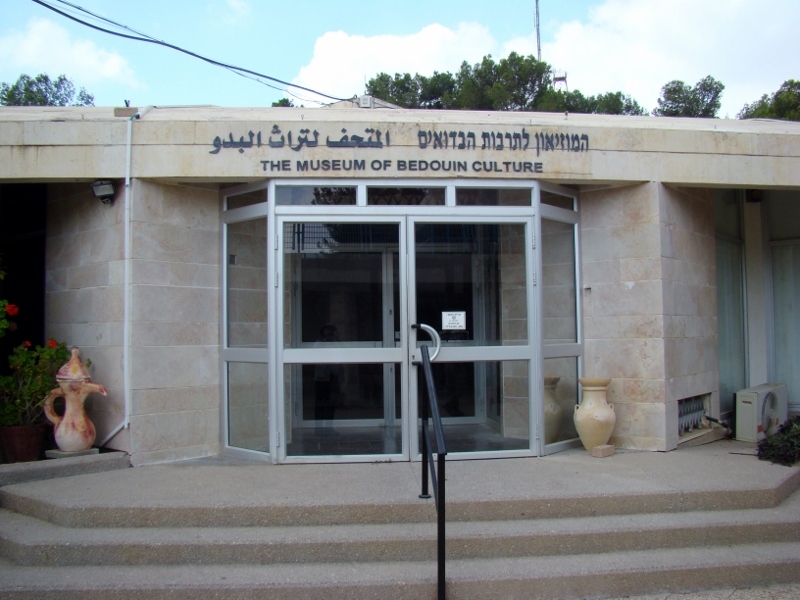 Museum of Bedouin Culture. Photo ©Leon Mauldin. The photo of this artwork was taken in the Museum of Bedouin Culture at Kibbutz Lahav in the Israel’s Negev. Museum of Bedouin Culture at Kibbutz Lahav. Photo ©Leon Mauldin. It was also at Gilgal that Israel observed the Passover at the appointed time, the 1st month, 14th day. It was at this time that the manna stopped, and Israel began to eat the produce of the land. This was at harvest season. The 40 years of wandering were over; a new era had dawned! The book of Joshua has one dominant theme: God was fulfilling His promise to the patriarchs Abraham, Isaac and Jacob, that He would give unto their descendants the land of Canaan (Gen. 12:6-7). As Joshua begins, Israel had recently conquered the transjordan territories of Sihon and Og, which would become the possession of Reuben, Gad, and half the tribe of Manasseh (Num. 21:21-35). 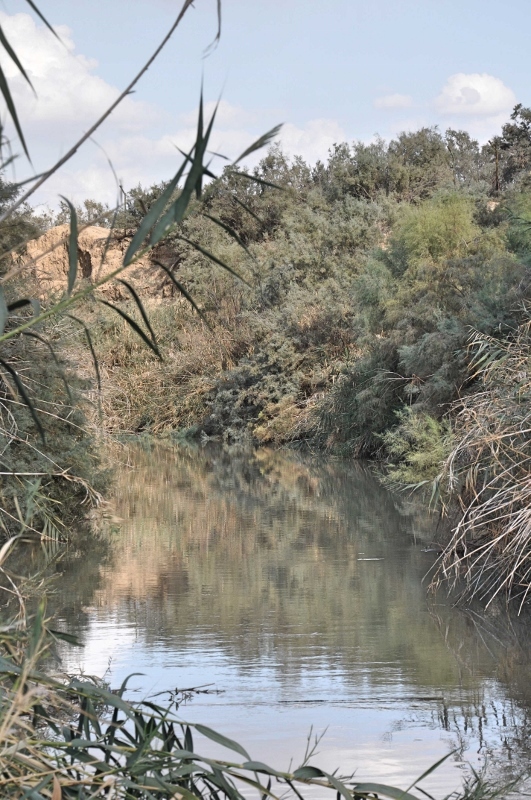 Though the eastern territory was given to Israel by God, the land of Canaan proper did not include the transjordan, but rather was the land west of the Jordan River. (See discussion on this by Todd Bolen here. The book of Joshua is named after its prominent character, Joshua, the successor of Moses. Following Moses’ death (Deut. 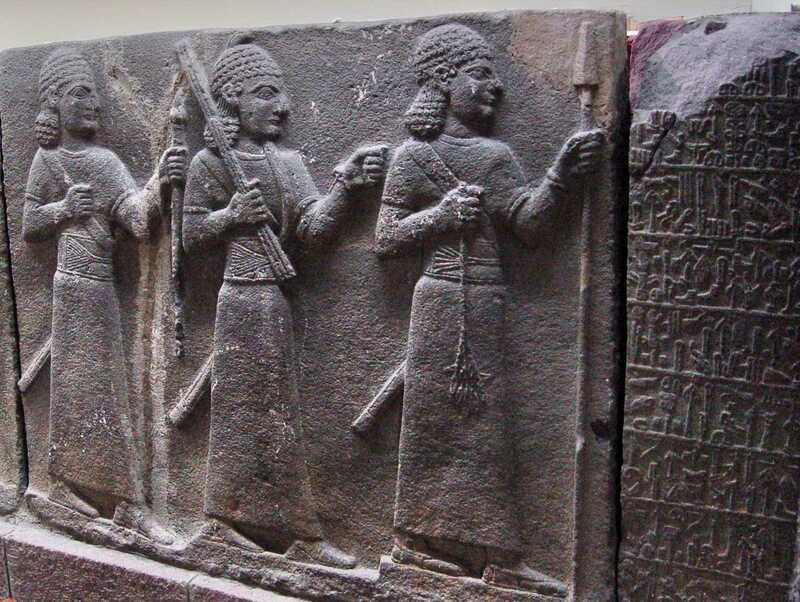 34) and a 30-day period of mourning (v.8), Joshua sent out two spies across the Jordan. 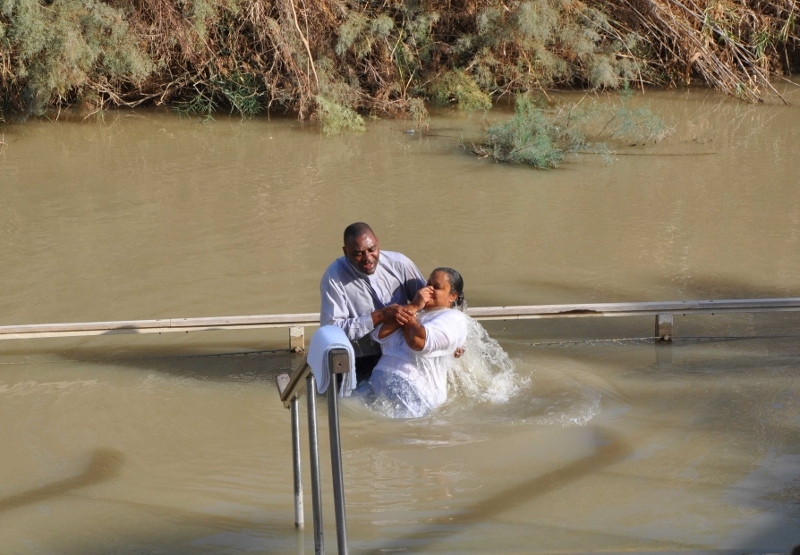 They were told “Go, view the land, especially Jericho” (Josh. 2:1). 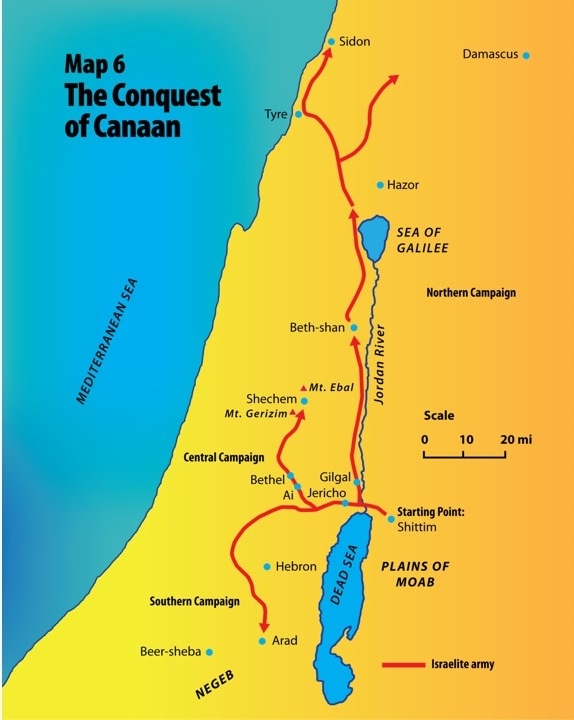 Conquest of Canaan. Map by Marc Hinds. 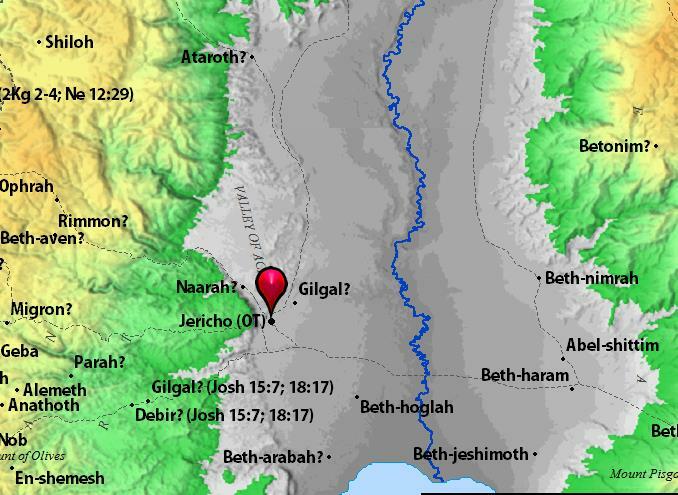 One can see that from their location in Shittim (Acacia Grove, NKJV, CSB) that the first city that must be taken in the Conquest was Jericho, believed to be the world’s most ancient city. It was a fortress city and guarded entrance into Canaan from the east. 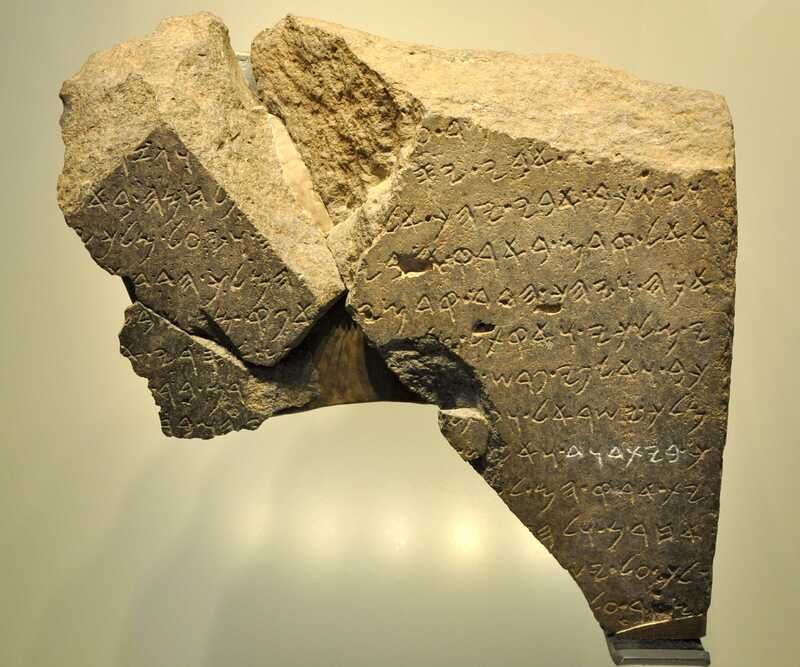 Located in the Jordan Valley, it is 670 feet below sea level, and was one the first cities in Israel to be excavated. The record of Jericho’s destruction by Israel is found in Joshua 6. From the standpoint of military strategy, Israel would first conquer the central territory (Josh. 7-8), then the southern (Josh. 10), and finally the northern territory (Josh. 11). I always enjoy seeing Jericho. This past October Jericho was included on our itinerary for my group, though it was later in the day than what is ideal for photos. Excavations at Jericho. Photo by Leon Mauldin. 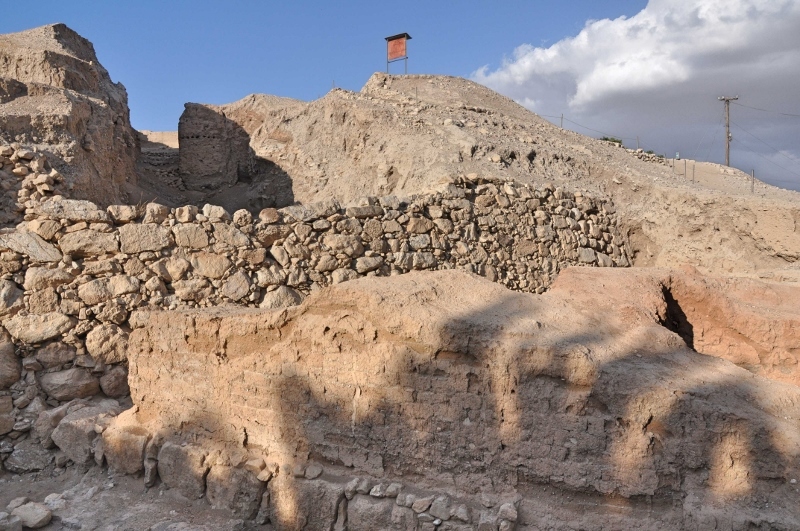 Recommended reading: see Biblical Archaeology Review, “Did the Israelites Conquer Jericho? A New Look at the Archaeological Evidence,” by Dr. Bryant G. Wood (16:02, March/April 1990). You are currently browsing the Leon's Message Board blog archives for February, 2014.